Included at 1st intermediate or major, mileage interval, scheduled maintenance. Does not include emissions testing. Appointments to fit your schedule even if we’re booked solid. When in for any other service. Bought at time of vehicle purchase. This is a combined offer, make your best deal on the package price today. *Oil and filter change value of $31.00, Lifetime PA State inspection not including emissions 5 times at $31.95 = $159.50, Service Loaner car 10 times at $50 = $500, pick/drop off service $135 value, 25% off accessory is a savings of up to $500. $100 LoJack Discount, $100 warranty discount for a total retail value of up to $1,525. 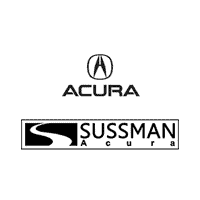 The Sussman Advantage may not be substituted for a discount, cannot be transferred to any other vehicle or person or redeemed for cash.